There I was, pacing around in circles staring down a driveway-turned-dock at a boat bearing a black band around its crow’s nest: a whaling boat. I’d been traveling around the world for ten months on a fellowship where I sought to better understand the varied connections different cultures had to whales. I’d spoken with the old whalers in the Azores, watched them as their eyes drifted to sea burning with desire to be in their seven-man canoa, lance in hand, chasing a sperm whale — waiting for that Nantucket sleigh ride. I’d walked the deserted halls of the world’s largest land-based whaling factory outside of Durban, South Africa, and been present for the reunion of two of its workers thirty years after the factory had shutdown. I had run my hands over the ornate carvings in the marae in Whangara that tell the story of Paikea, the whale rider, and been invited into the cemetery that holds the bodies of his descendants – the “whalers.” I’d sipped coconut water on a small island in the Ha’apai group in Tonga with a one-armed man, Kalafi, who told me how, as a boy, he’d always tried to stand on the backs of whales – but that they were too slippery. 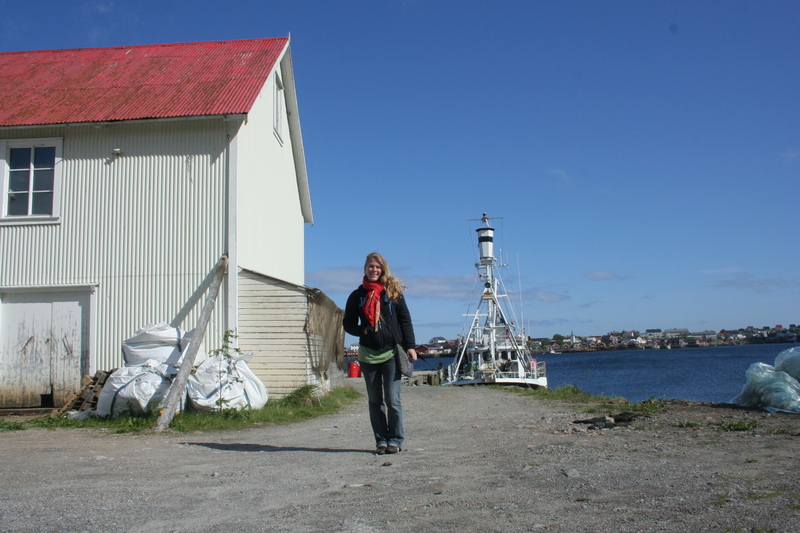 Gemina at the end of the driveway she’d been pacing after having been on the whaling boat. In Japan I’d roamed the seemingly endless aisles of the Tsukiji fish market in Tokyo, carrying around a drawing of a whale and my token word: “doko?” Inevitably the fishermen would laugh and then show me where each cut of meat came from on the whale. I picked up my species names in Japanese from a Greenpeace Japan booklet and continued as best I could. I walked the streets of Taiji, a village now notorious for its dolphin hunt as depicted in the film “The Cove.” Looking at this town before the rest of the world knew about it, what I saw on the outside was a community that loved whales, albeit in a way that is hard for most Americans to understand. Every step I took (literally, because the sidewalks were adorned with artwork depicting whales) I saw what I had seen in towns known for whale watching: statues, paintings, and museums all devoted to whales. I realized that love can stem from different places and still physically manifest in similar ways. Inside the museum, however, it was surreal to see whale meat being sold among the gift items and I’d be lying if I said the live show of bottlenose dolphins, pilot whales, and an orca didn’t bring me to angry tears. Bjørnar (the whaler) in the crow’s nest. All of these people, all of these places, all of these moments, had brought me to 67°N, to the town of Reine in the Lofoten Islands. 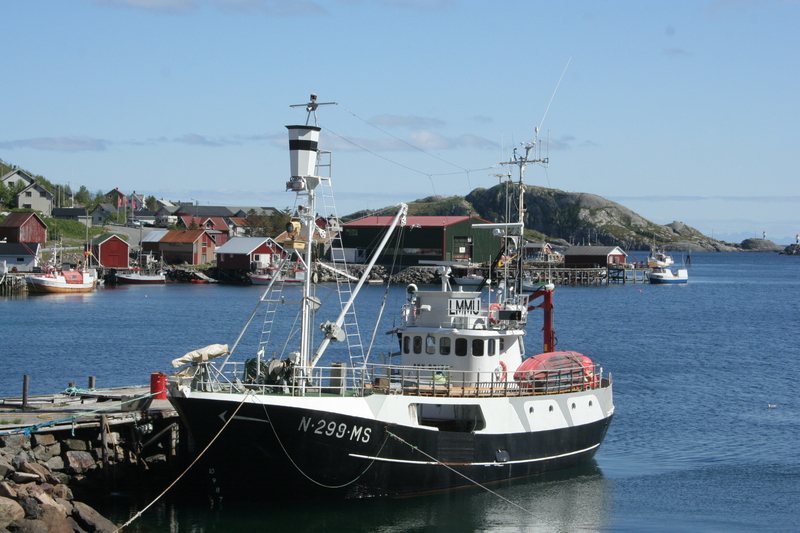 I had recently come from a meeting with a woman working with marine mammal affairs for the Fiskeridirektoratet in Bergen – the managerial body for the Norwegian fisheries. We had gone over every regulation in place and every statistic we could think of. I wanted to see it in real life now, even if the boat wasn’t leaving the harbor. I paced a few more circles and summoned my strength to walk up to the boat (and the inevitable male-only crew that would be on it). I asked several men who were busy cleaning the deck if I might be able to have a word with one of them. They pointed me in the direction of Bjørnar, one of the younger men on the boat. Amazingly, I was invited to hop on board. They had just come back from their last hunt of the season. 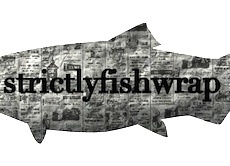 Over the next hour we discussed all manner of things – from the stories that came from his family’s 50+ seasons of whaling on their 40 year old boat to the nitty gritty of how the minke whale fishery is managed in Norway. He pointed out a little black box that records every movement of the boat’s journey, every tilt from hauling a whale on board, and every shot the harpoon fires. He took me to the crow’s nest and described how their family crew of six searches for whales. When we got to the harpoon at the ship’s bow, he had me hold it to feel its weight and then showed me how each grenade that will be loaded into the harpoon carries its own serial number for tracking. I asked him about the DNA samples they have to take from every whale they catch so that any whale meat you find on the market can be traced back to the exact boat that caught it. 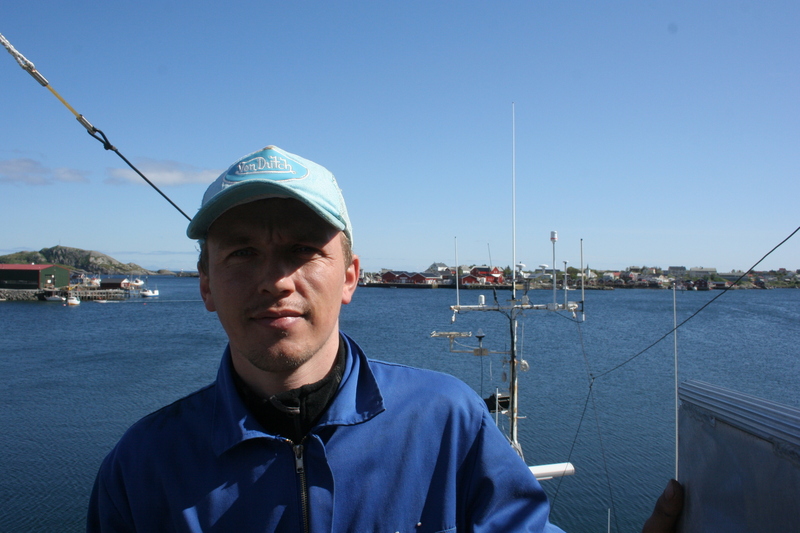 Somewhere between the black box, the DNA samples, the annual accuracy test for harpooners, and the catch limits, Bjørnar told me that he thought regulations were too tight and admitted that his family whaled out of tradition more than anything else. The money would come from the fish they pursued the rest of the year, when the black band of paint on the crow’s nest wasn’t required any longer. He didn’t understand why people didn’t think of his family or others in his community as “indigenous” whalers simply because they were white, even though generations upon generations in this area have whaled. Norwegian whaling boat from the author’s interview with Bjørnar. We parted ways after he had showed me all the nooks and crannies of the boat – including his family’s living quarters with walls covered in photos spanning the many generations of their life at sea. I left knowing that I probably factored very little into his day – maybe just enough to warrant a story of the strange American who paced in his driveway and asked about his boat. For me, though, that day brought me to a place I had never imagined, both in terms of my life and my research. I had held a harpoon on the deck of an active whaling boat. Even a year ago, I never could have imagined that. In trying to look back at the person I was before I started my fellowship, it was hard to even conceive of myself not only having that conversation but being totally open to it as well. For me the road had been paved by countless others I’d encountered around the world on every side of the whaling spectrum. I had learned to listen without judgment. I think above anything else this is the life skill the whalers of the world taught me: to see everyone as human and to hear their story as such. I really found your story powerful – what an amazing experience! What sort of fellowship allowed you such a unique opportunity?